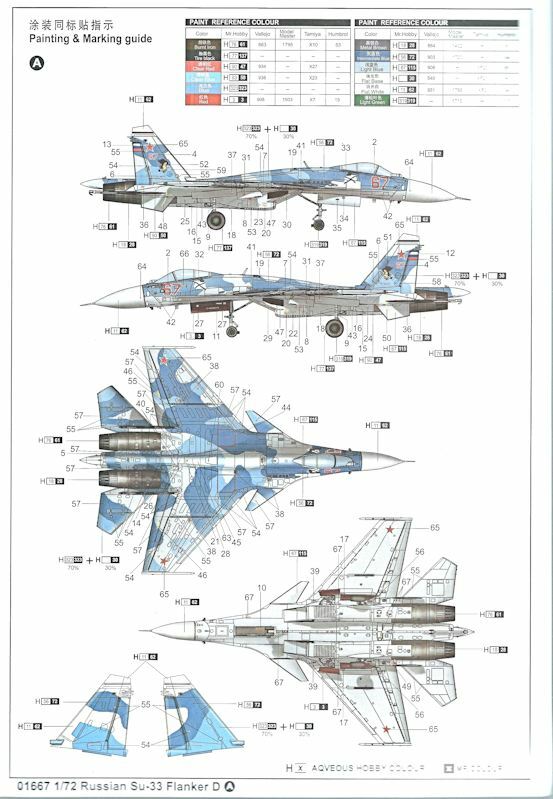 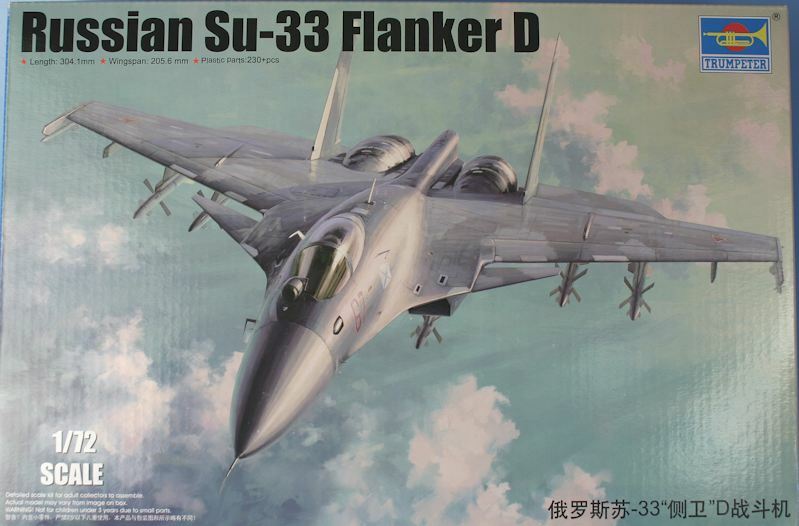 Trumpeter box art - Su-33 on the prowl. 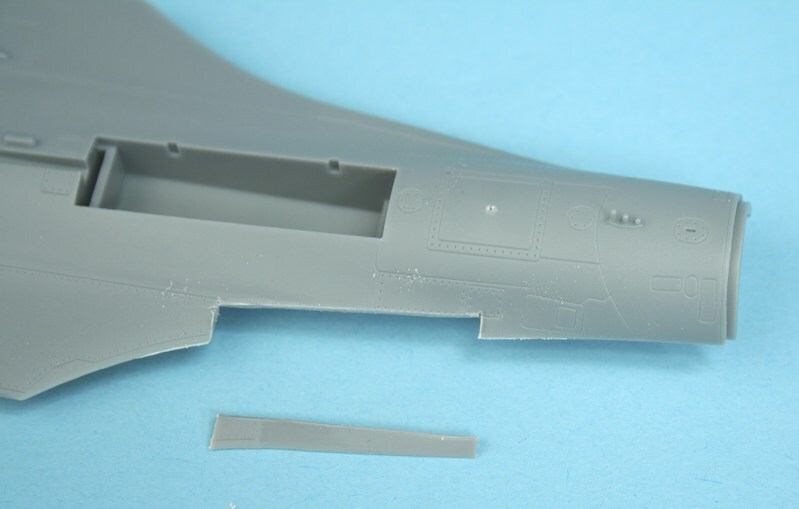 The kit parts are exactly the same as in Trumpeter's J-15 kit - so I won't repeat them here. 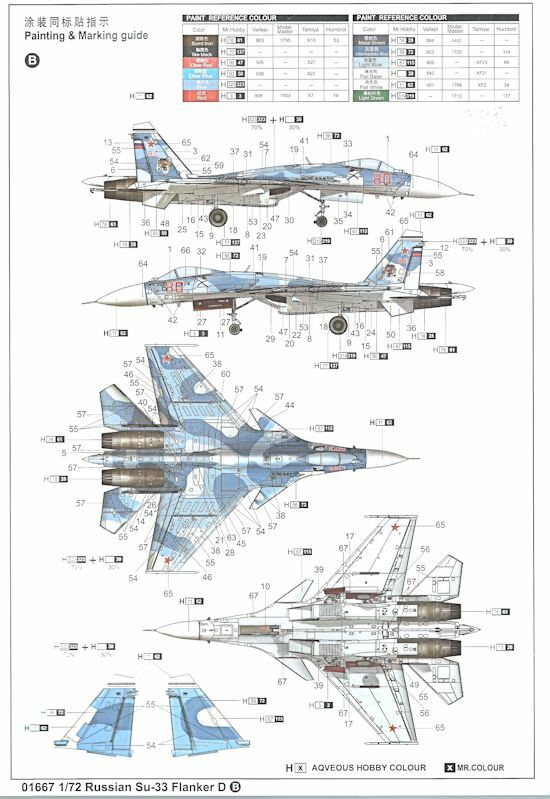 .... and decal placement guide for two options. 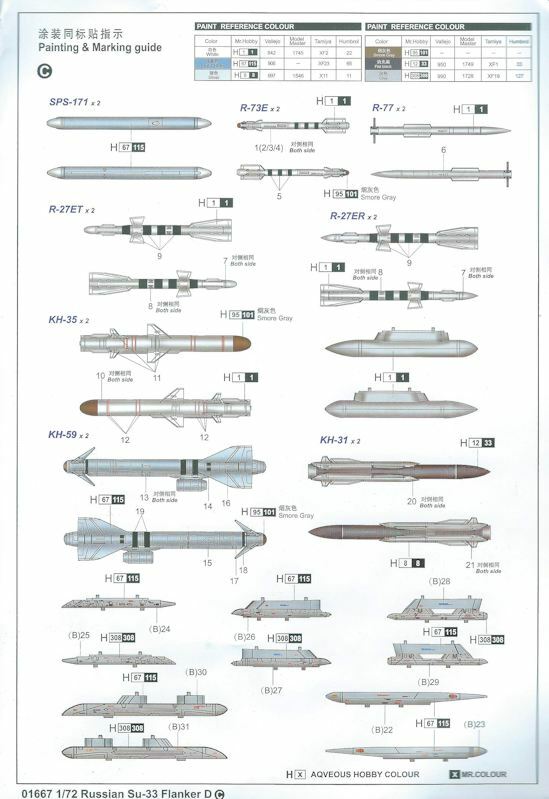 Plus the weapons painting and decal guide. 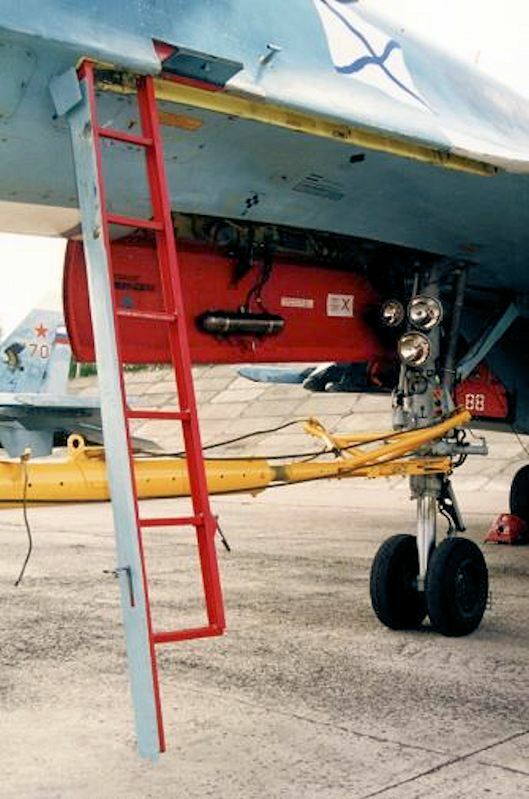 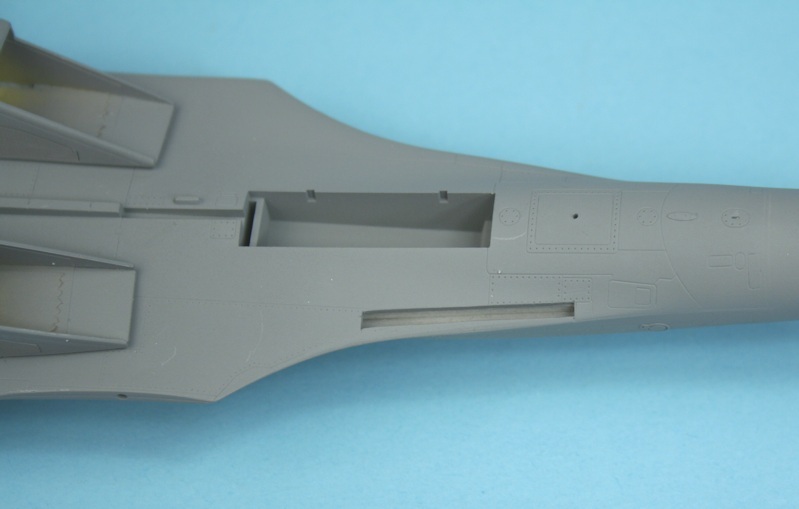 I am making Bort 88 - the only Su-33 fitted with an experimental built-in boarding ladder. 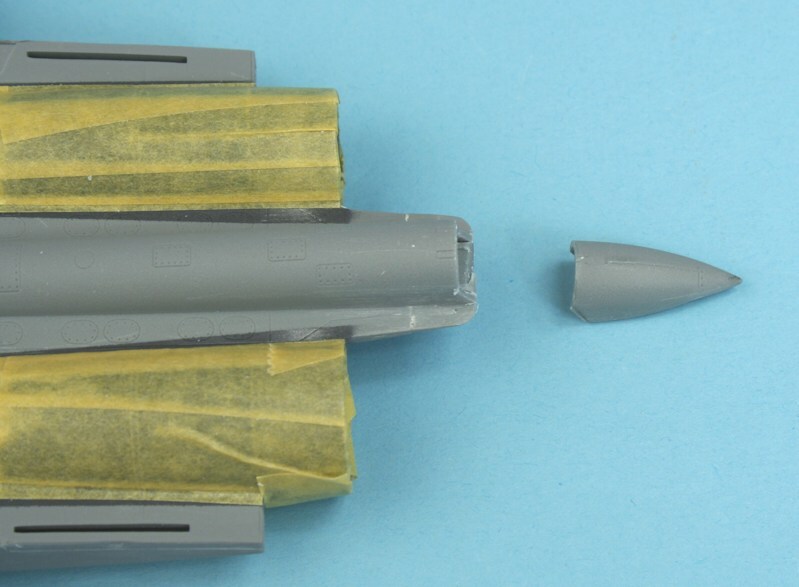 I'm also making it all folded up - but Trumpeter don't include the folded inner flaps and slats - so they need to be cut away. 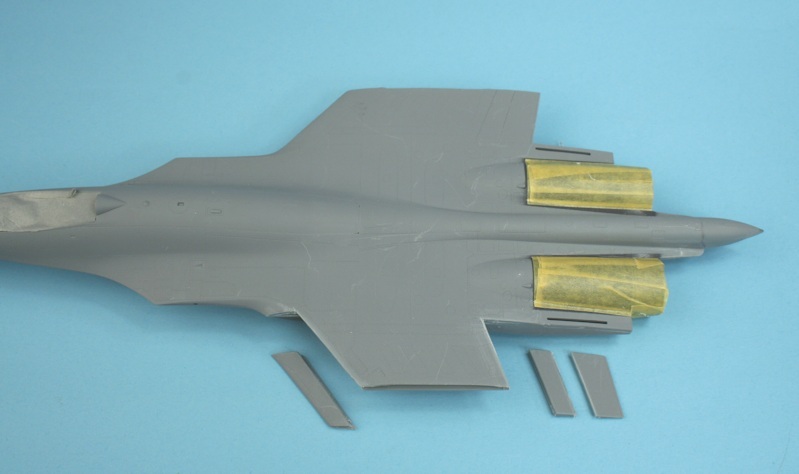 The tailcone also folds up - so that is cut away as well. 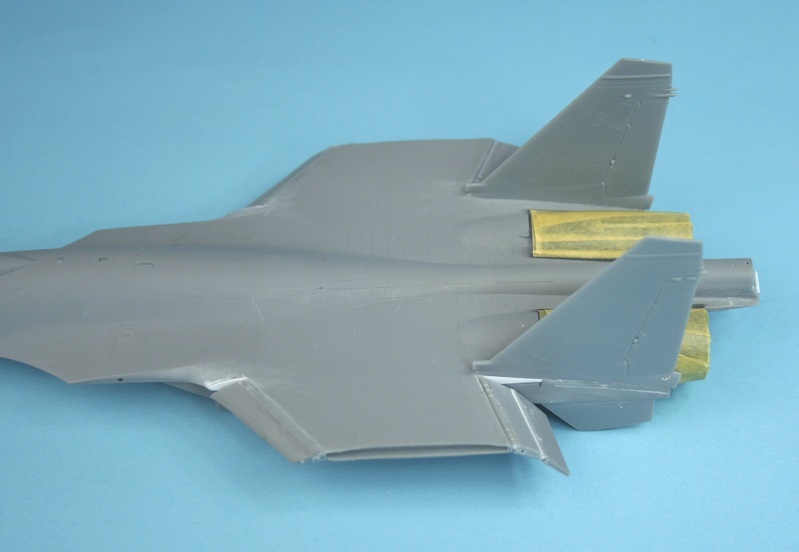 Flaps and slats modified to droop. 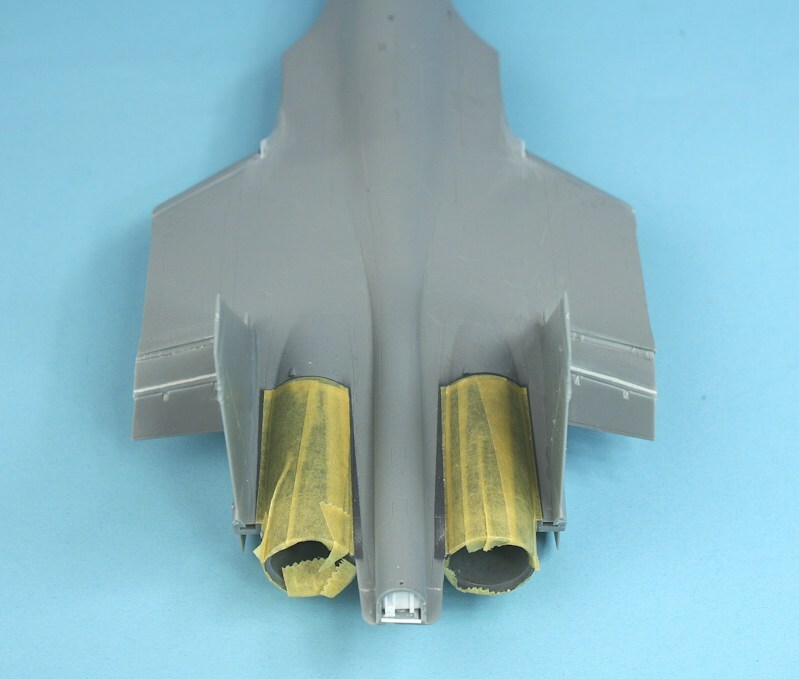 Drooped flaps and open tailcone detail.